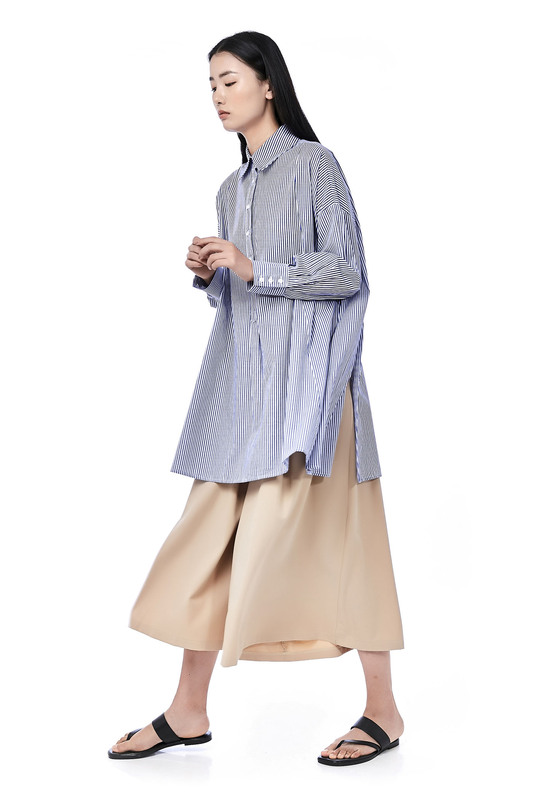 This long-sleeved shirtdress is made from cotton. 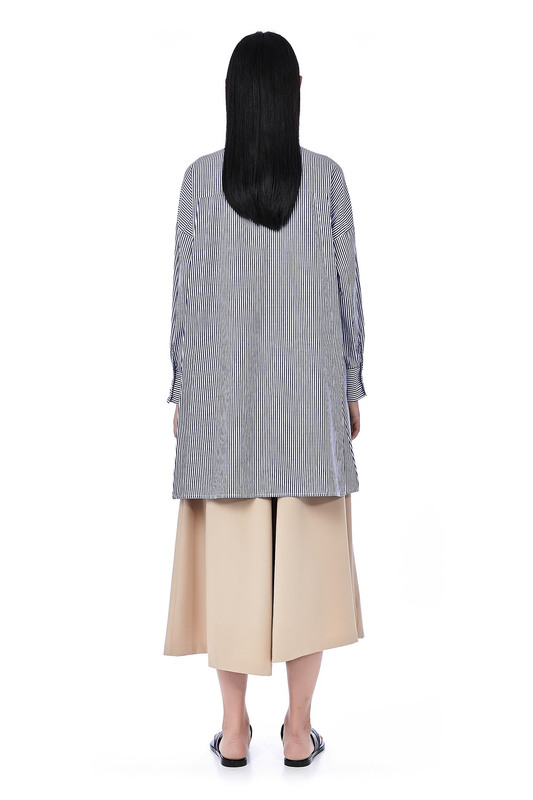 It has a regular collar and features a press pleat detail on the back. Made in an oversized fit with button closure on the front. BUST 47" 49" 51" 53"
WAIST 49" 51" 53" 55"
HIPS 60" 62" 64" 66"
LENGTH 33" 33.5" 34" 34"